I found myself driving a friend to Conwy (North Wales) today for the start of the Dragon’s Back. I’d decided to chuck my bike in the boot and continued down to Chapel Curig to get a holly ride in. It was a beautiful day and the roads weren’t too busy as I popped my bike out of the boot. Whilst driving down, conscious of the time, I decided to concoct a short but sharp ride to get some hilly miles. 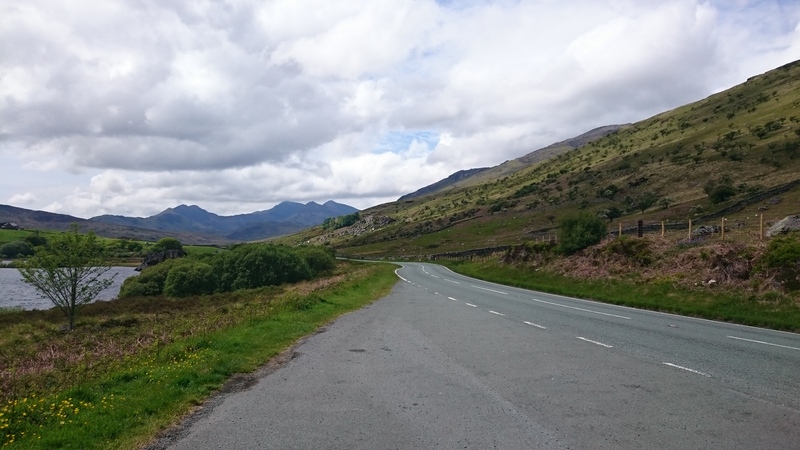 This was made up of riding to Pen-y-Pass, down the other side towards Llanberis, back again and repeating it three more times. The result: an elevation profile that reminds me of a sawtooth. It was a bit masochistic, but in my own way, I enjoyed it. And it’s good to have it in the bank, knowing that I can force myself to keep going up the same hilly road over and over as required! Not long know till I fly to the States for Race Across America, so fingers crossed my training comes together!